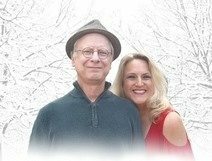 , Enjoy the music of CBMA Award Winners, Rick and Lesa, to kick-off Mid-Winter and celebrate warmer temperatures, 1 – 4 pm, Friday, January 12, SHOE CENTER NORTH MYRTLE BEACH. Dance while you shop for your favorite comfort, fashion, and dance footwear! See you Friday! Join us for our North Myrtle Beach storefront concerts to THANK YOU for being loyal customers. Bring a chair and your outdoor dance shoe. We're located at 710 Hwy 17 S in NMB, SC. ENJOY! Shoe Center updated their cover photo. Shoe Center shared a link. Shoe Center shared a post.